Two albums of heavy Norwegian prog, both featuring Motorpsycho drummer Kenneth Kapstad. I say “prog”, though these bands bear no clearer relation to 70s progressive rock than Blood Ulmer’s Music Revelation Ensemble or Ronald Shannon Jackson’s Decoding Society did to 70s jazz fusion. Grand General previously traded under the name Kenneth Kapstad Group. Kapstad is one-third of Norwegian psych-rock behemoth Motorpsycho, with which he’s been singing, playing keys, but mostly drumming, since 2007 (he made his Motorpsycho recording debut on Little Lucid Moments the following year). Motorpsycho is, unavoidably, the most obvious touchstone for Grand General’s sound, albeit that would be a more propulsively monolithic Motorpsycho, repurposed and shorn of its latter-day prog-rock excesses leaving only grace notes of Mahavishnu Orchestra (on “Antics”), early 70s/David Cross-era King Crimson (“The Fall of Troy”), and even Yes, on the album’s more painterly moments (eg. “Tachyon”). Violinist Ola Kvernberg won a Norwegian Grammy for his album ”Liarbird”. Here, he works effectively in the Grand General front ranks with Bushman´s Revenge guitarist Even Helte Hermansen. Erlend Slettevoll, on keyboards, is pleasingly self-effacing, but adds further textures and colourful breaks that occasionally (as on opening salvo “Antics”) resemble Ståle Storløkken’s irruptive abstractions. On the brief and atmospheric “Clandestine” he’s more distinctly individual, playing thoughtfully with tuned percussion tonalities. Kapstad mostly combines with bassist Trond Frønes (Sunswitch, El Doom & The Born Electric) to drive the music at a relentless mid-tempo, but there’s enough responsive looseness in their togetherness to impart a lissome, sinuous grace to their powerplay. 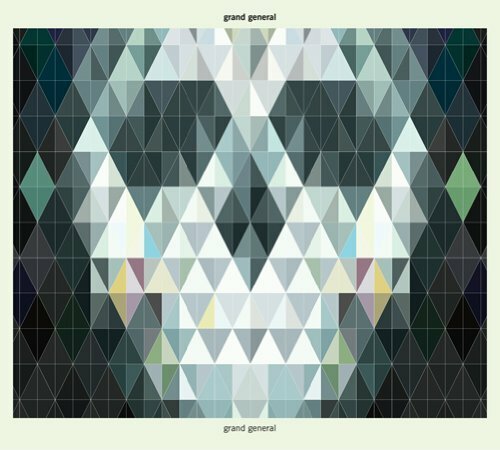 The all-instrumental Grand General, though heavy on powerplay, is mercifully free of self-indulgence. Its first and last pieces run to just over ten minutes, those in between clock closer to six, and they work effectively together as an instrumental suite. The first two pieces of the album’s second half are individually indexed but segue into each other: “Tachyon” is a bustling, tuneful take on prog that might appeal to fans of Yes (the mix of Slettevoll’s keyboards and Kvernberg’s violin reminds obliquely of the tonal blending of Anderson, Howe and Wakeman); “Ritual” is pure soundscaping at first, but develops into superbly lyrical jazz/fusion, with twinned strings soaring. Kvernberg’s vioin initially takes the lead on the album’s tunefully epic finale, “Red Eye”, while Frønes and Kapstad modernise the backbeat with an apparently intuitive, parallel separation of scuzzy, limber elec. funk bass and solid beat metrics. When Hermansen takes over he plays a blinding solo of hard-edge, post-Hendrix psych guitar, pushing Kapstad to drum up a storm. There’s more Kenneth Kapstad on Edvard Lygre Møster, recorded by another ad-hoc contemporary power-Prog group, this time with more funk and dub grits in their sound. Here, Kapstad is partnered here with Nikolai Eilertsen, an electric bassist with an imperturbable yet funkily elastic sense of rhythm. Ståle Storløkken (of Supersilent and, like Eilertsen, elephant9) plays Fender Rhodes and Moog, creating spacey atmospherics and sharing lead lines with bandleader and tenor and baritone saxophonist Kjetil Møster. Everyone except Kapstad doubles up on electronics. Møster has played sax in bands such as Ultralyd, Zaussi Five, The Core (alongside Grand General’s Erlend Slettevoll), and spent years touring with electro-rockers Datarock; he’s also collaborated with Chick Corea and the Trondheim Jazzorkester. “Møster” was formed when he was invited to play Kongsberg Jazzfestival in 2010, and Edvard Lygre Møster (named after Møster’s child) was recorded live at the Victoria, Oslo, in December the following year. Møster says that his goal with this band is: “to place the artistic style and intensity of John Coltrane in a modern context”, but he rarely directly evokes Coltrane with his own sound. Sometimes (as when piercing the seething roil of “Ransom Bird”) he sounds bright and pliable; elsewhere he plumbs gut-registers, more likely channelling Borbetomagus. Of Møster’s partners, Keyboard player Ståle Storløkken is caustically colourful, tearing into the band’s tumbling, muscular rhythm workouts with that brittle, particle-charged, volatile electric sound pioneered by Chic Corea in his Miles Davis days, and seldom heard since (unless you drop some ELP). Coming back to “Ransom Bird” ten minutes in, it’s running deep and wild to climax. Bassist Nikolai Eilertsen, previously more warmly soulful, sounds incredibly chunky here. After 23 minutes of intensity, the album’s third track, “Composition Task #1” is an open-form interlude of seven minutes foregrounding emotive saxophony from Møster. He later plays in echoing fx’d lung blasts over Kapstad’s feverish kick, as the group launch into the album’s sixteen minute-long finale, “The Boat”. This is not, straight from dry-dock, the blowout one might expect. Kapstad doggedly maintains a rippling percussive simmer, but the others ease off. Storløkken is at his most suspenseful, creating plenty of space for Eilertsen to trigger sustained reverberants of vibe-dial bass, before trading licks as Kapstad raises the heat. Only then it does “The Boat” swell into a pile-driving bruiser of a track, fed with garage-rock roughage and bloated by Møster’s punchily abrasive, electronically treated sax. El Doom & the Born Electric + Hedvig Mollestad Trio – Shoot! 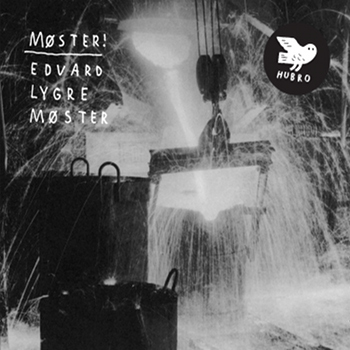 This entry was posted in Album and tagged Edvard Lygre Møster, Grand General, Hubro, Kenneth Kapstad, Kjetil Møster, Møster, Motorpsycho, Rune Grammofon. Bookmark the permalink.